Saw this term popping up a lot on Unity Profiler: Graphics.PresentAndSync which was hiking up my GPU. 1. Changing the V Sync Count in Quality Setting to Don't Sync. 2. Changing the Graphics Level ( in Player Settings > Other Settings ) to Force Open GL ES 2.0 ( instead of Automatic ). 3. 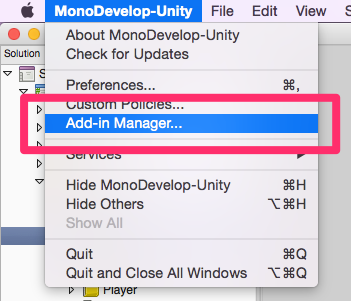 Disable any sprites in scene whose alpha is 0. 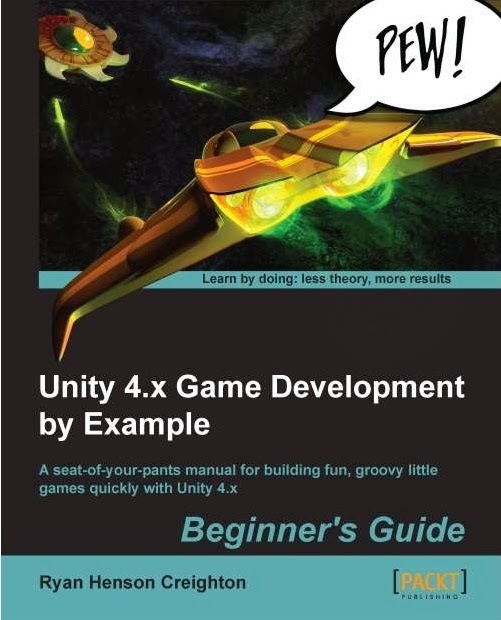 Yet another book from Packt Publishing on developing games using the Unity engine, with more focus on 2D game development, such as using Unity’s powerful Sprite feature. Some part of the book can go a little too detailed and gamedev-mood-killing for me. If you don't mind reading more technical explanations, this book should be fine for you. I find it useful for referencing purposes. 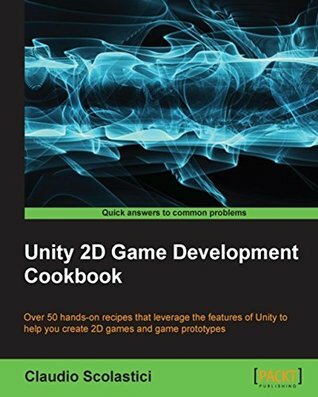 Would recommend this for those who have zero experience in Unity or game development. It'll cause the font not being able to get loaded. 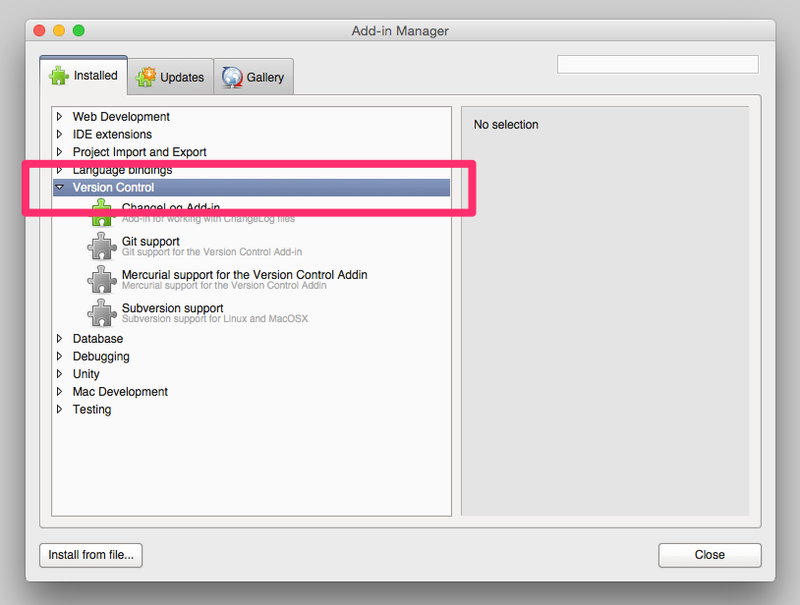 Just disable all the Git related support ( Git / Mercurial / Subversion ), if you're NOT using any of them. 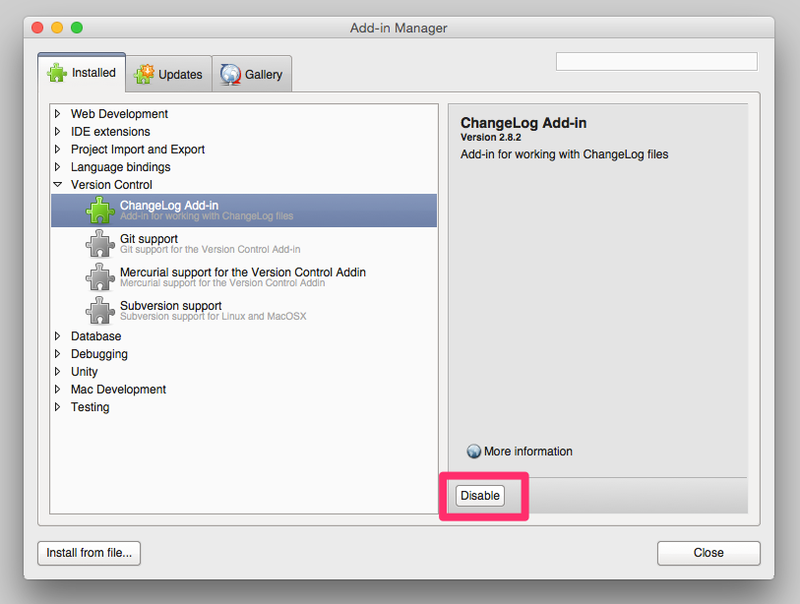 Step 1: Open "Add-In Manager"
Step 2: Look for and expand "Version Control"
Step 3: Select and Disable EVERYTHING~!!! 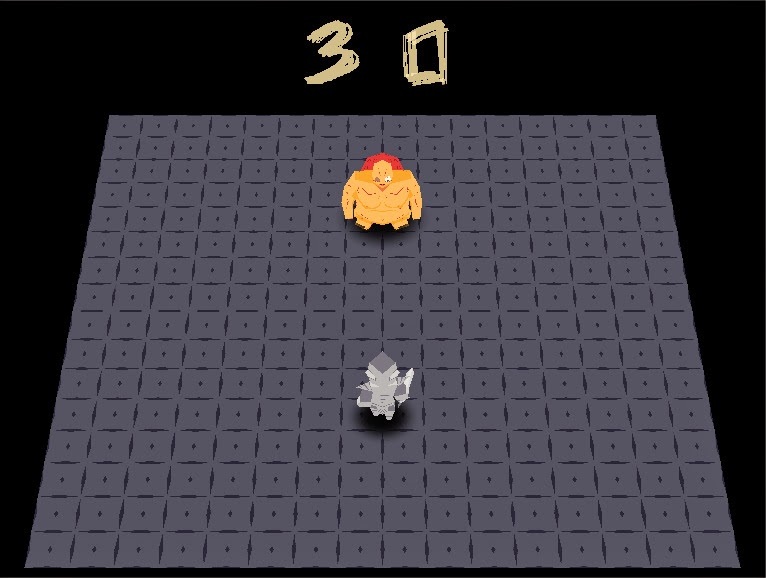 Made a game called "Defeat The Boss" for the IndieQuilt game jam during most of my July's free time. The past few days had been some crazy ones, first I joined the Global Game Jam 2014 and then the company's game jam. My mind is now tired as hell, and good thing there's all the Chinese New Year holidays for my brain to recover. For this year's GGJ, I knew there was gonna be a long hour of idea-pitching session that would bored the heck out of me, that I decided to just find an artist and go with the penalty that our local GGJ had ( not sure about the GGJ for other countries though ). Since I arrived late at the jam site due to work, I have little time to prepare my game ideas. Good thing that the artist I recruited on site has some pretty solid ideas of his own. I chose the idea that sounds like a Smash Bros. fighting game, went to request for the GGJ "dont-want-to-pitch-my-idea-because-I-have-my-own-team" penalty, which is basically choosing 3 random names generated from the Video Game Name Generator, select 1 title and just make a game out of it. The titles our team got was: "Panzer Surgery Invaders", "Middle East Drug Dealing Conspiracy", and "Tribal Gun Revenge". Our final game had a little something from the first two titles. The title we ended up choosing is neither making any sense nor has any relation with our game at all, though there is something middle-eastern-ish in it. I'm not even sure I remember what the theme was after the first day of development. For the music we use one from an old game with hope that no one will sue us, as we don't have a composer or a lawyer to handle such problems. Worst come to worst we'll just replace the music with any music anyone would wanna compose for it. Oh and keep an open mind when you play the game, as some audience thought some of the characters design was inappropriate. It was a fun jam. Get to meet a lot of new developers, as well as the developer of Sokobond, Harry Lee. I had the honour to participate in his experimental game idea for GGJ14, which was really awesome. As soon as this jam was over, I had another company game jam the next day, where me and a colleague made a board game. Will talk about that some other time.